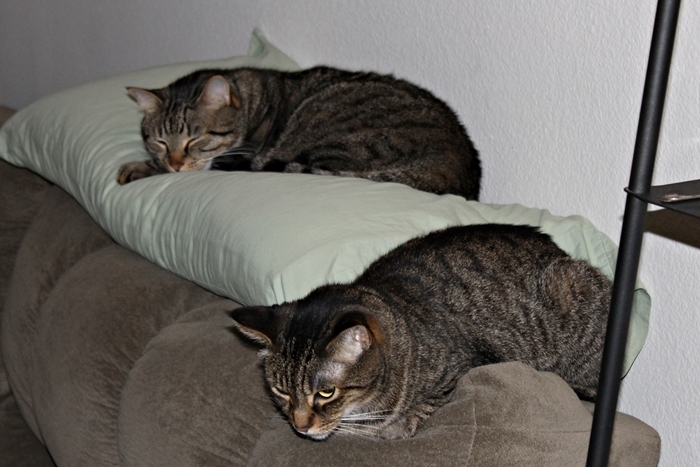 Rarely do I see the boys, both at ease, this close to one another. Milo must have been feeling particularly needy or lonely when I caught this uneasy treaty earlier this week. Although, I don’t know that I should necessarily call him “at ease” here. He’s still quite alert and annoyed at my photography. Olli on the other hand, could care less. 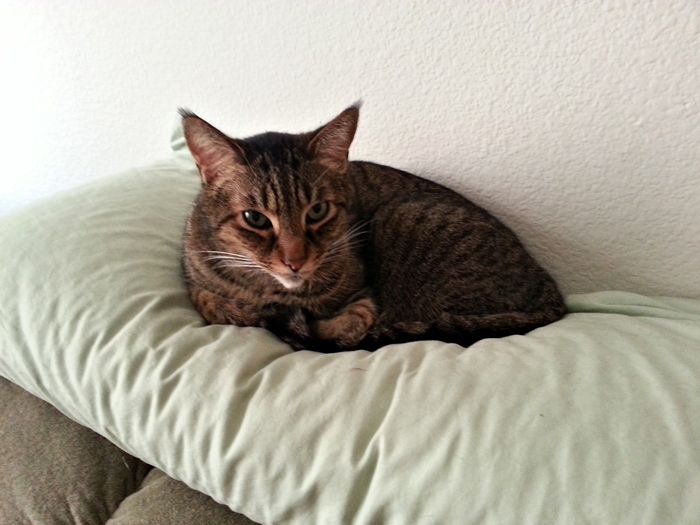 King of the pillow. 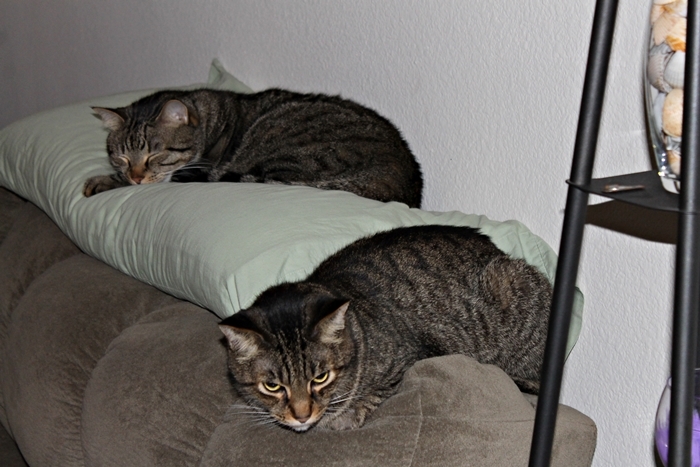 Interestingly, I found Milo bogarting the pillow today! Cats are mysterious folk. There is more passing in their minds than we are aware of.